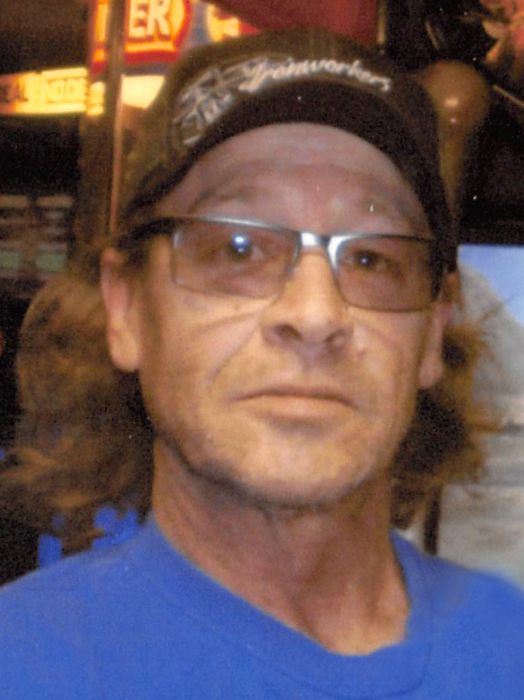 Bradley Allen Benson, 59, of Dwight, ND, passed away at Essentia Hospital in Fargo, ND, on Saturday, February 9, 2019. Visitation will be held from 1 p.m. to 2 p.m., Friday, February 15, 2019, at Breckenridge Lutheran Church, Breckenridge, immediately followed by the funeral at 2 p.m. at the church with Pastor Mark Manning officiating. Burial will be held at a later date at Riverside Cemetery, Breckenridge. Bradley, affectionately known as “Brad,” was born in Wiesbaden, Germany, at the Airforce Base Hospital, on August 8, 1959, the son to Doug and June (LaBine) Benson. Brad was raised in Grand Forks, ND, and after graduating from Red River High School, Grand Forks, in 1977, he moved to Wyoming to work in the oil fields. On April 7, 1989, Brad was united in marriage to Marsha Beeler in Grand Forks, ND. They made their home in Grand Forks while Brad was employed at Concrete Inc. He eventually became a union member while working as a proud ironworker. Throughout his life he developed an impressive resume through his work at the Target Field Stadium, Minneapolis, MN; the new Sanford Hospital, Fargo, ND; the Fargo Dome; Cargill, Wahpeton, ND; and the Gonda Building, Rochester, MN. Brad’s most recent job after retiring in 2017, was held at Brushvale Seed Inc., Brushvale, MN. Brad enjoyed being outdoors, especially planting various vegetables and watching the fruits of his labor grow. He enjoyed hunting, fishing, and when the time would allow, he worked on many special woodworking projects. In recent years he took on a new hobby and began raising bees and harvesting honey. Many knew Brad as having a tough exterior with a heart of gold. He was dedicated to his jobs and enjoyed spending time with his small circle of close friends. Above all, his family was the center of his world and he cherished the memories they shared. Brad will be missed by his loving wife, Marsha Benson; children, Wyatt (Amanda) Benson and Kyle (Xaveria) Benson; step-children, Jordan Schmidt and Alexis Ortiz; grandchildren, Keagan, Aubrey, Emery, and Matilda; parents, Doug and June Benson; siblings, Brenda (Eddie) Skinner, Brian (Jeanne) Benson, and Bruce Benson; brothers-in-law, Brian Beeler and Jerry (Borgi) Beeler; mother and father-in-law, Gary and Evie Fox; and many nieces and nephews. He was preceded in death by his maternal grandparents, Edgar and Alice LaBine; paternal grandparents, Nels and Edith Benson; father-in-law, Larry Beeler; and brother-in-law, Steven Beeler. There's still time to send flowers to the Visitation at the Breckenridge Lutheran Church from 1:00 PM to 2:00 PM on February 15, 2019.